Put dry ingredients in to a food processor and pulse to mix. Add butter and pulse until barely combined and half & half or milk 2 Tbsp at a time. Pulse to combine. Remove dough from processor and wrap in plastic wrap. 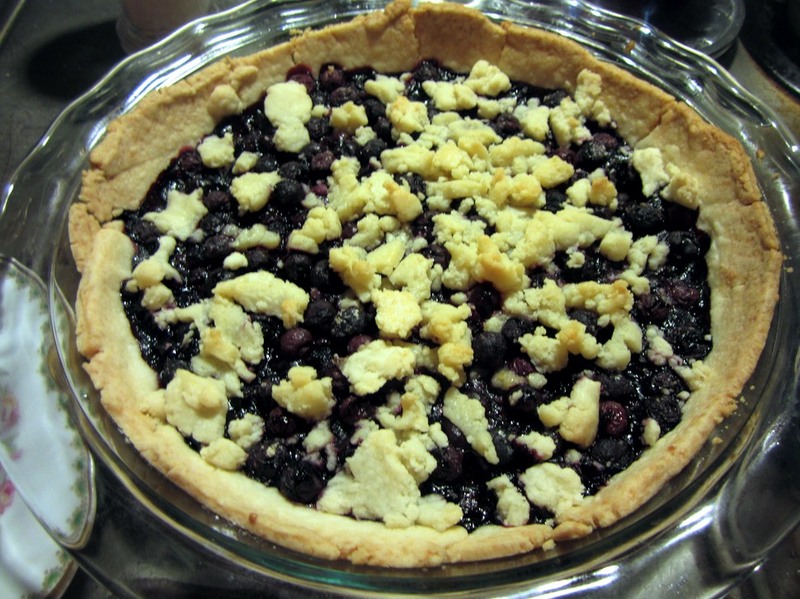 Roll out pie crust dough to fit your pie pan on a floured surface, reserving about ½ cup to crumble on top. In a large bowl, mix all ingredients for the filling. Pour filling into crust and crumble reserved crust over the top. Bake for 40 to 45 minutes until crust starts to lightly brown and filling is bubbly. Cool before serving if you can!